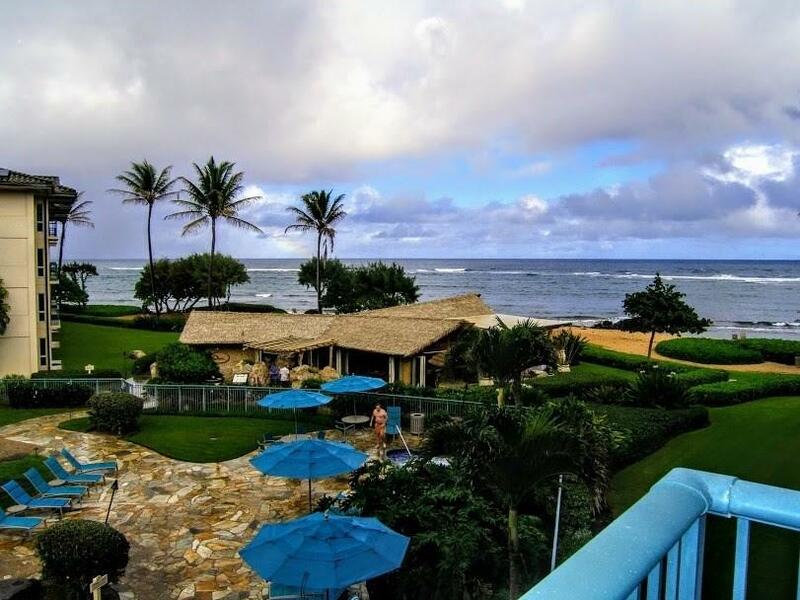 Waipouli Beach Resort is Kauais popular oceanfront resort on the east side of the island. 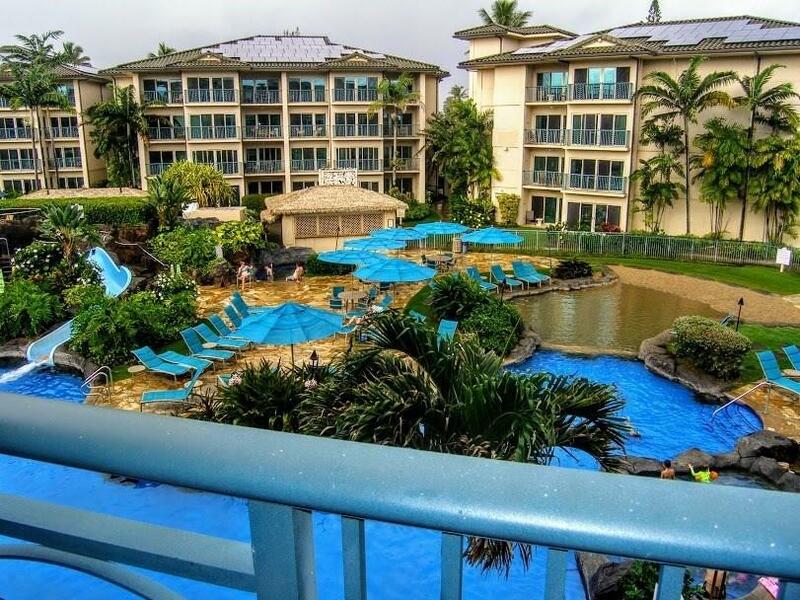 This condo is a very active vacation rental property in the Outrigger rental program. 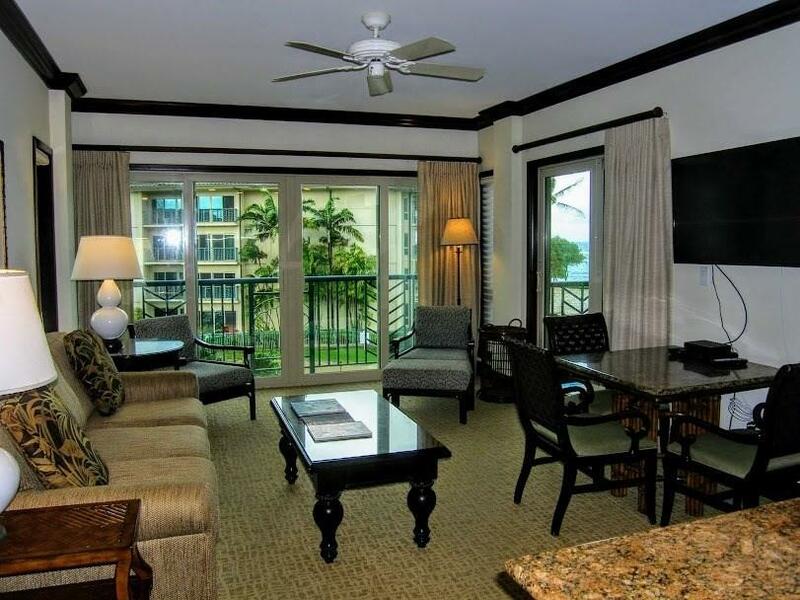 Unit H-306 is in the Ocean View category and overlooks the resorts fabulous pool area. This two bedroom/three bath luxury condo is offered fully furnished. 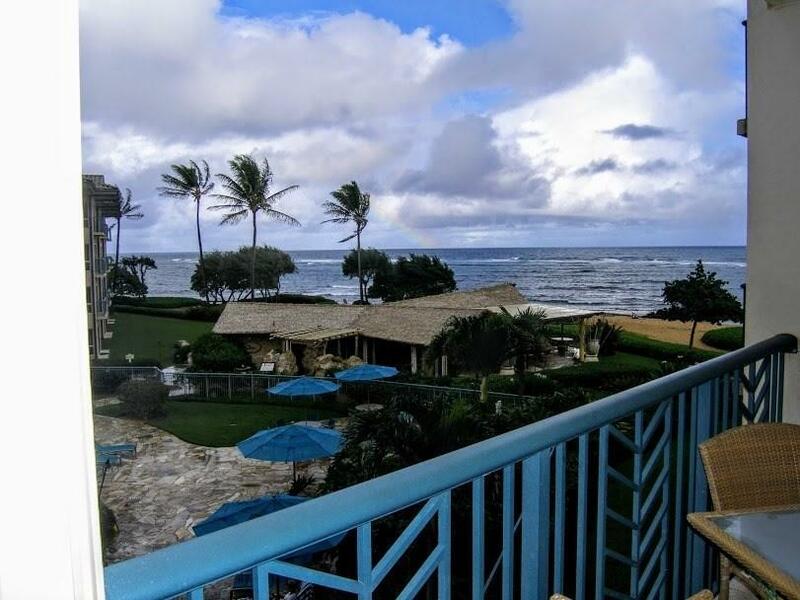 Two lanais with ocean views. The condo has a king-sized bed in the master bedroom, queen-sized bed in the second bedroom and a sofa sleeper in the living room. The master bath has a soaking tub and a walk-in shower and double sinks. The second bath has a soaking tub and double sinks. The third bath (with door to the second bath) has a walk-in shower. Gourmet kitchen with granite counter tops, stainless steel appliances (Sub-Zero refrigerator and Wolf stove/oven) and a built in microwave. 100% natural stone Peruvian floors African Mahogany Hardwood cabinets with glass paneled doors and under cabinet lights Sound and energy efficient tinted double paned and UV glazed window and slider doors Full sized stacking Washer and Dryer Central air Waipouli Beach Resort offers a lazy river, tropical heated 2 acre fantasy pool complete with water slides, waterfalls, and3 sand bottom hot tubs. It includes a fitness center and an oceanfront bar and grill.